Just like Mother Nature's spectacular light show, our custom blend shines with dazzling flowers that flourish in the sunny garden. 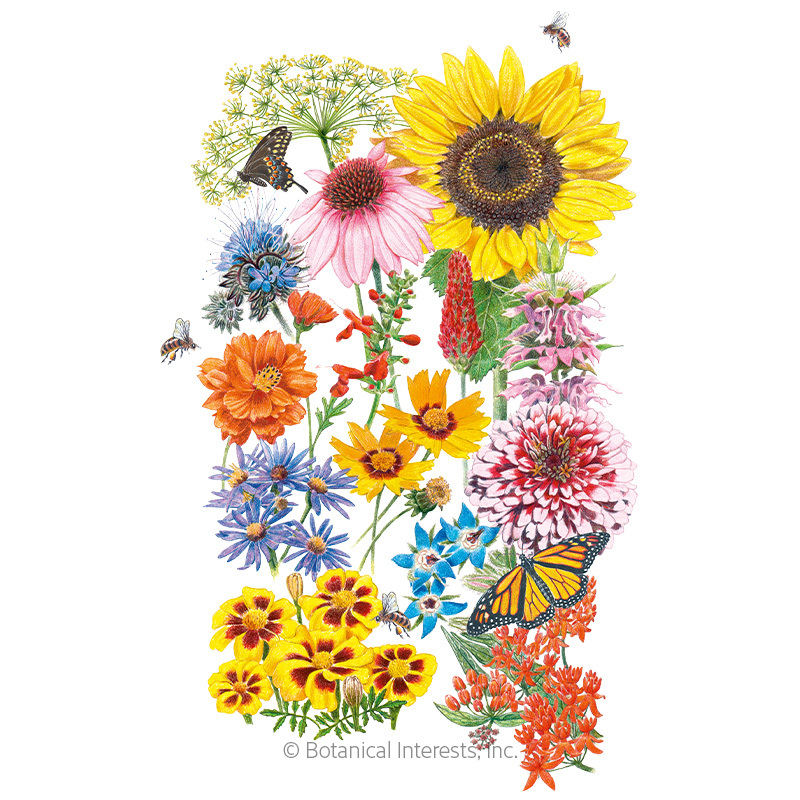 Large, 4"–5" flowers are great for attracting butterflies and bees. 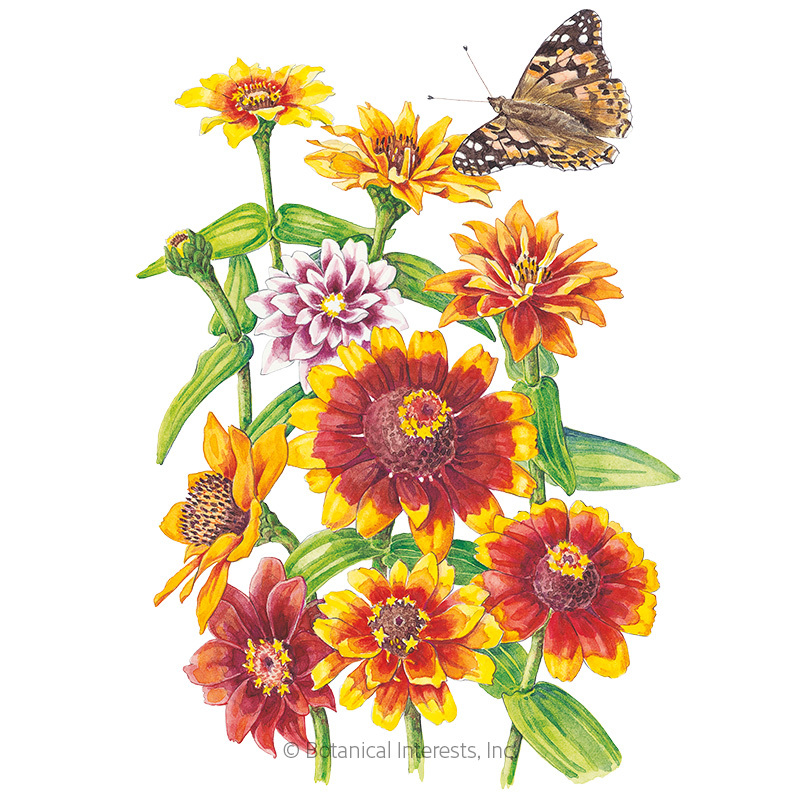 Easy-to-grow zinnias look best when planted in masses in a bed or border, or mix with daisies, bachelor's buttons, hollyhocks, foxgloves and snapdragons to create a lovely cottage garden. 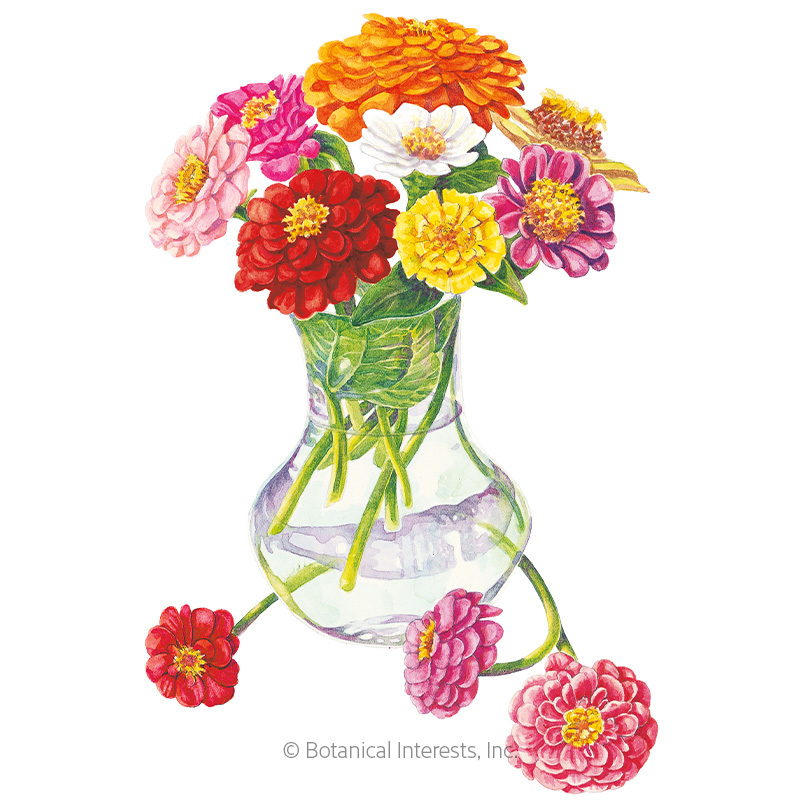 Zinnias are essential in the cutting garden and make wonderful, long-lasting, fresh bouquets. Seed Spacing: A group of 3 seeds every 12"
Thinning: When 2" tall, thin to 1 every 12"
Harvesting: For longest vase life, harvest before small yellow flowers emerge between petals. "Califlornia Giants" and "Northern Lights Blend" Zinnia Elegans packs are so beautiful. 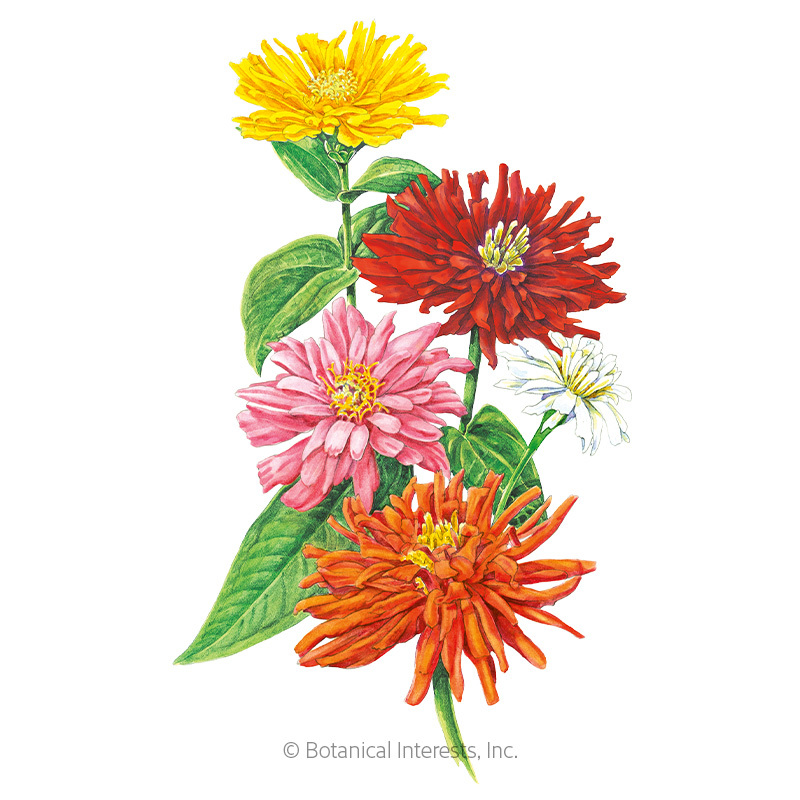 Zinnia Elegans blooms and lasts very long under the hight temperature of San Diego. Thank you so much for the healthy seeds! Your pack design is artistic and delicate too. Zinnias (and Rudbeckia) are my favorite annuals. 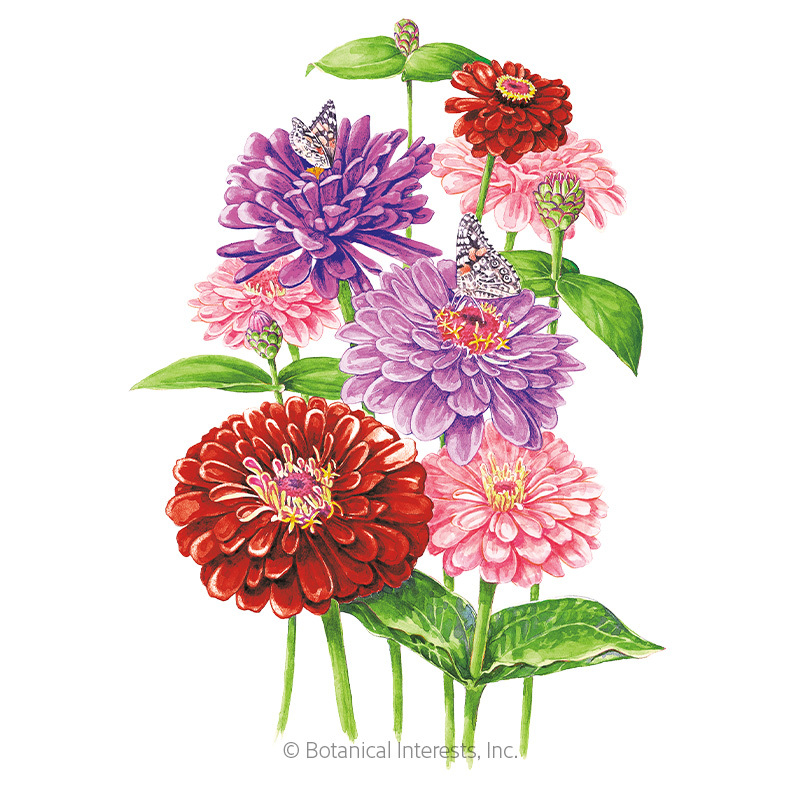 In fact, if I could only grow one annual, it would be zinnias. I usually only purchase seeds in a single color and plant them en masse. I am so glad I tried these this year. They are of the loveliest blending shades and really brighten my gardens.